Adventure Student Travel is known for an overwhelmingly popular service: educational trip planning. We do everything from daylong field trips in close by cities to week long subject themed adventures across the country. We can send your 2nd-grade science class to the Museum of Science and Industry in Chicago, or we can send your Drama Club group to Broadway in New York. Performance venues, national parks, camping trips, museums, botanical gardens, zoos, and even amusement parks, trust us, we have it all covered! Not only do we provide these services to groups of all ages, from Kindergarten to College, but we can do them really quickly. 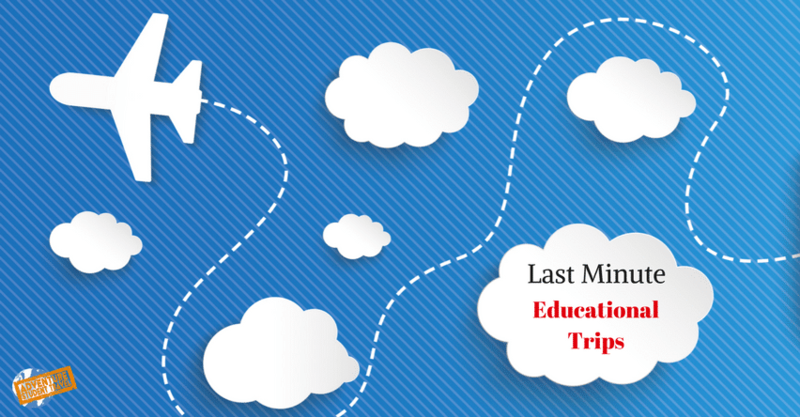 Last minute educational trips are both easy and fun for our experienced AST agents, giving you convenience and peace of mind. We use our travel connections across the United States to book the best, and most budget friendly, modes of transportation, lodging choices, and attractions. The best part? We can do this in as little as one month's time! We can help your school group out with one simple call to our office (by a teacher or student group leader), whether you have your whole trip planned out or you want us to help you plan around a specific theme. So if your group wants to volunteer at a national park next month, give us a call. If you need to make it to a museum exhibit you just found out is opening in a couple months, give us a call! We can make any last minute trip possible for your group in the most efficient and helpful way possible! Relax and let us handle the dirty work. We’ll get you in! So don’t get frustrated, get Adventure Student Travel to help!